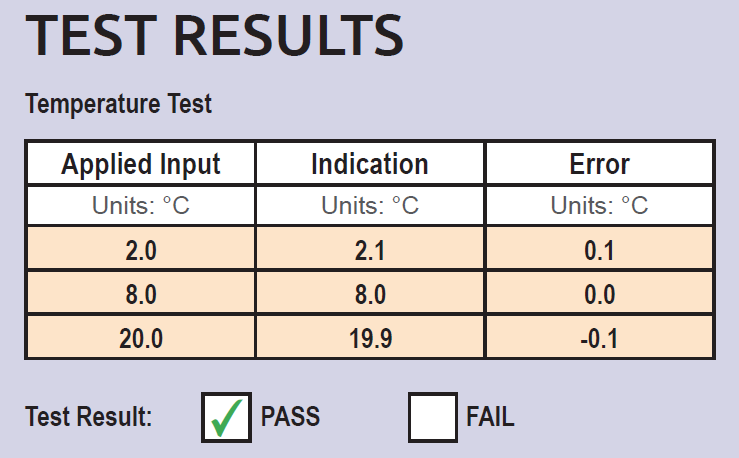 Certification is the testing of a LogTag to a known temperature, and providing a report showing the measured temperature compared with the actual temperature. 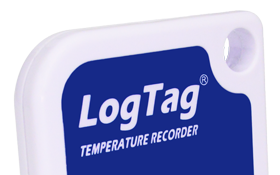 The purpose of certification is to demonstrate that the LogTag temperature logger is within the accuracy levels required for a specific industry. For example, if an accuracy of 0.5° is required, then the error can not be greater than 0.5°C. It is normal to have an error. Don’t panic. The point of the certification is to ensure that the error is within acceptable limits. Calibration is the actual adjusting of the readings as they are stored. In theory, it would mean that the error is removed from the data. Assuming the values from above, it would be possible to get a more accurate estimate of the temperature. If the reading was 3°, it would be save to assume it was closer to 2.8°. If it was 10°, then it is more likely to be 9.9°. Calibration used to be essential for analog sensors that were prone to drift with time. They were actually designed so that adjustments could be manually made. Did you mean “NATA Certification”? NATA certification is simply certification done by a NATA accredited lab. NATA (National Association of Testing Authorities) are responsible for maintaining the reference by which all other companies compare. Having a NATA certified LogTag means that you would be able to trace your certificate back to the test lab which could then trace it back to NATA. It basically means “I can trust this”. My personal opinion is that digital devices, especially loggers, should not be calibrated. The results should not be adjusted to make them more accurate. My logic is reasonably simple – electronic monitoring is now very accurate and should be within specification. If it is outside specification then something is wrong and it should not be used. Calibration should not be used to mask a device that has a problem. We sell another product that allows users to manually enter a calibration factor. It is a total nightmare because people try to get it to match a displayed temperature, and it invariably makes matters worse. There is a program that allows LogTags to be calibrated. It is only available to NATA accredited labs. But chances are you want your unit certified. Hopefully you aren’t still asking if your LogTag can be calibrated. Who can certify my LogTag? There are a number of NATA certified labs around Australia. If you want a new LogTag with a NATA certificate then you can request that in the online store. It will add about a week to the shipping date. Should I get my existing LogTags certified? You won’t be without a LogTag while it is being certified. The new unit will have maximum battery life. We have some people certify units that are 2 or 3 years old, only to then have the battery die a couple of months later.